In his meticulous notes on the natural history of Concord, Massachusetts, Henry David Thoreau records the first open flowers of highbush blueberry on May 11, 1853. If he were to look for the first blueberry flowers in Concord today, mid-May would be too late. In the 160 years since Thoreau’s writings, warming temperatures have pushed blueberry flowering three weeks earlier, and in 2012, following a winter and spring of record-breaking warmth, blueberries began flowering on April 1—six weeks earlier than in Thoreau’s time. For the past 12 years, my students, colleagues and I have been investigating the effects of climate change on the plants, birds, and insects of Walden Pond and the surrounding area of Concord. By combining Thoreau’s observations from 160 years ago with modern observations, we have used Concord as a living laboratory to study the impacts of a warming world. In a new book due out in early March, I describe this scientific adventure. 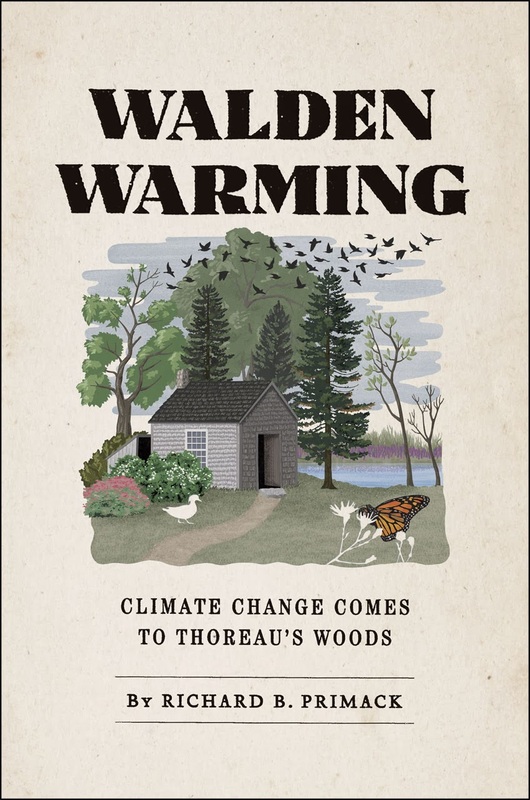 And in the final chapter, I try to imagine how Thoreau would react to the modern challenge of climate change, and what his advice would be for dealing with this crisis.